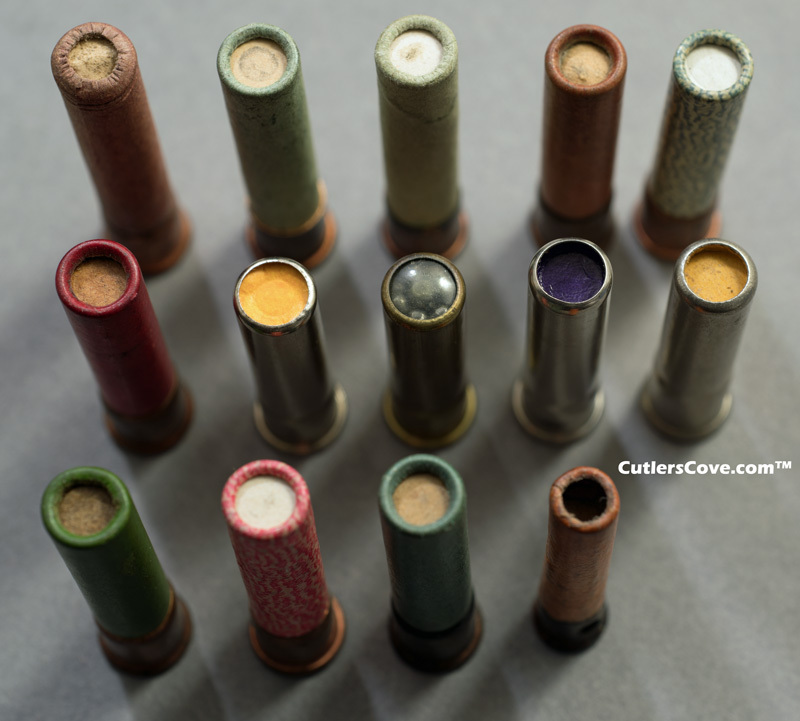 14 vintage 9mm gauge shotshells in 9mm gauge most are paper with roll-crimp. Many with high brass. There are four all metal shells. There are Winchester, Eley, Fiocchi and others. Most were made before 1945. All are in good condition or better most are in excellent condition. All are 9mm gauge except one 7mm gauge. None are common shells. The shells are in the same order in all three 3 photos below. This way you can see the top and bottom of each shell. 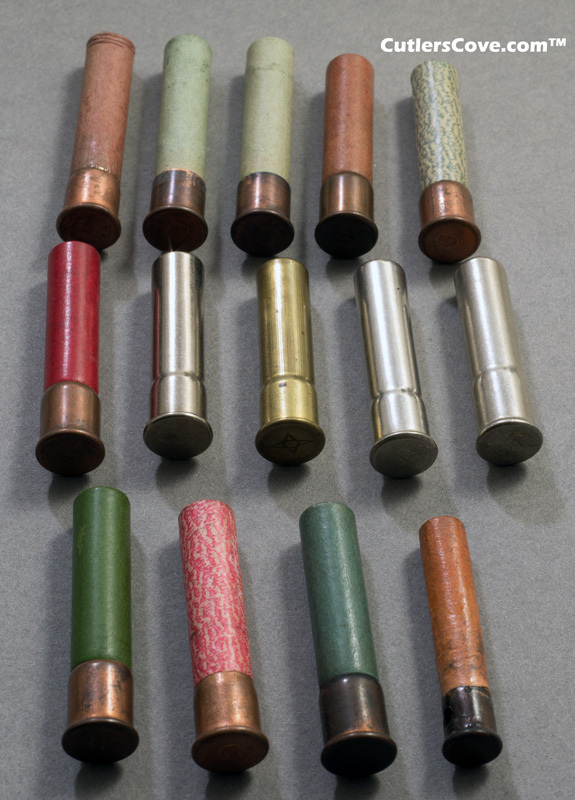 There are 14 roll-crimp (usually before 1945) and four all metal shells with three nickel plated. Each shell is priced based on condition, brand, age and other factors. All measurements are approximate. The 9mm Rimfire Shotgun Shell was introduced in 1920 for the Winchester Model 36 Shotgun. Winchester only made 20,306 guns and discontinued the firearm in 1927, and stopped production of the cartridge sometime shortly after 1927. Winchester Roll-crimp, 1-9/16" green. 1920-1928 $19 Rimfire Roll-crimp, 1-9/16" overall, red, G $18 Winchester Roll-crimp, 1-9/16" blue-green. 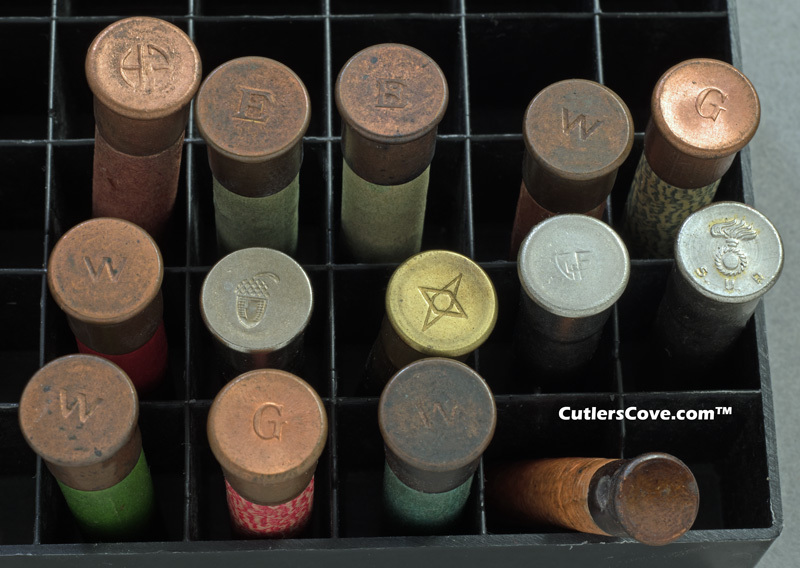 14 vintage shotshells in 9mm gauge most are paper with roll-crimp. Antique ammunition. Old Ammo. One shot shell only at each price.